What would the Great Philanthropist do? The members of the board of directors of Abandoned Children’s Fund aspire in their modest way; to represent what they understand of the heart of the Great Philanthropist of the universe, the original ‘lover of mankind’ (GOD) when planning and undertaking initiatives to alleviate the suffering of Abandoned Children. The first impulse is hopefully to quickly gather an abandoned child under the shelter of a household, where a loving community (dedicated to their physical and emotional needs) can begin the healing from the trauma of fear, loneliness, rejection or despair. A child left without care or supervision (for whatever reason) is the classic image of an abandoned child. There are however, sadly, a number of ways that children can be abandoned. Recently one of the leaders of the Juarez Children’s Home that Abandoned Children’s Fund supports in Juarez Mexico, a mother, administrator and someone with a lifelong involvement and field experience in the Children’s Home, asked the following question; “Have you ever wondered what your life and your children’s lives would be like, if you had not had the opportunity of an education? What if you did not have the way of sending your children to school? When I think about this, I know my life and my children’s life and future would be completely different”. 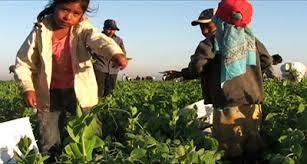 A child, who has had their future potential abandoned through neglect of an education, is an abandoned child. Admittedly, the emotional pain and the blunt force of separation from family and loved ones is less compelling in the short term, but the long term damage of borrowing from a diminishing future to sustain a failing present, is horrific and lasting. Just to illustrate the trauma of this form of abandonment, consider some of the following facts. 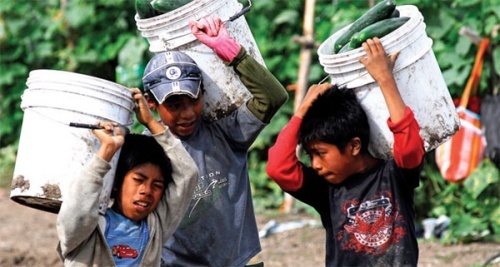 The poverty rate in Mexico is approximately 40 percent of the country’s population. That’s 50 million people in families struggling just to provide food for their children. Some of these families simply cannot afford to send their children to school. The result is staggering illiteracy that in turn, contributes to the cycle of poverty, forcing many children prematurely into what little work can be found, instead of going to school. This is one of the dilemma’s that faces the board of directors at Abandoned Children’s Fund. What would the great Philanthropist “Himself” do? 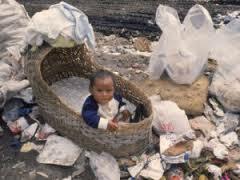 Devote more of our limited resources to rescuing more homeless or parentless children and housing them or invest some of our resources in the long term strategy of providing children with the opportunity to reclaim a future being abandoned? Our long term partners in Juarez have demonstrated that they believe education is an irreplaceable part of early childhood development. If children fail to receive the education they need in their early years, they may be less likely to pursue qualifications in higher education and may even struggle to enter the workforce. 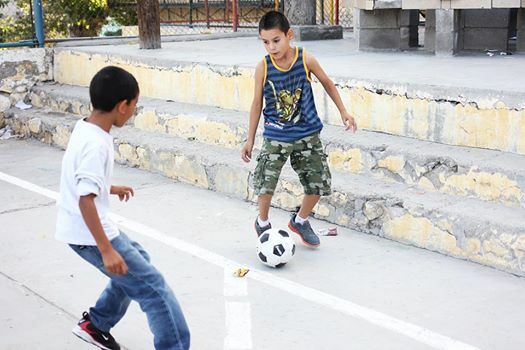 Because of the decades of compassionate commitment working with Mexico’s culture of poverty and abandonment, they know this first hand as each year they see and hear the stories of pain and suffering their children have endured, and in most cases a lack of education has played a key role. Out of the forge of crisis and endurance our Juarez partners have not only taken upon themselves the goal of providing these children with their basic domestic needs, but also making a dramatic educational impact in their lives, during their time in the Children’s Home. For this reason over the past 11 years they have provided quality Christian Education and offered countless children the opportunity to rise above their circumstances and pursue a quality education despite their economic status. Most children in the neighborhood surrounding the Children’s Home have only the limited privilege to attend public schools where the teachers are only required to have as training a high school education. 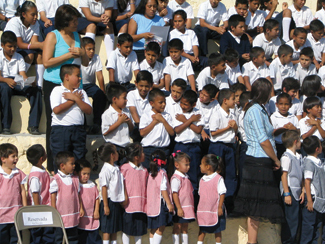 With Abandoned Children’s Fund donors financial help our Juarez partners are able to make available to the resident children an education that gives the students a truly superior educational advantage. Because all of our teachers have a degree in education and many have years of classroom experience, therefor we are confident our children are in very capable hands. To operate a top notch school while keeping a fully staffed orphanage in robust condition is a bold and heroic plan to manage. Our Juarez partners have asked for our assistance to continue providing an education to all the children at the Children’s Home plus extend an outreach to as many as 60 children who live in the neighboring community with a hopeful goal of creating an opportunity to reach out to a total of 140-150 students each year. With education being the primary ticket out of poverty for these children, your gift is invaluable. When our children say they want to grow up to be doctors, dentists, and teachers, we know they have had provided to them the educational foundation needed to fulfill those dreams. Through keeping our class sizes small, placing our children in classes based on their level of learning, and offering individual tutoring, these children are thriving. A good example of thriving is Carlos Meza’s story (3rd grade). At the beginning of this school year, Carlos was very shy and had difficulty expressing his feelings. This caused him to not want to speak in front of his class. The teaching staff worked on building his talents to improve his self-esteem. When the opportunity to participate in a writing contest was presented, Carlos’ teachers encouraged him to enter. At first he didn’t want to, but he overcame his fears and won first place at the area level and third at the sector level! Carlos now always gives 100% and is not afraid to share his ideas or speak in front of his class. Luis Mata is another example of thriving in the classroom (Pre-K). At the beginning of the year, Luis was very isolated from his peers because he seemed to be behind socially and developmentally. He did not show interest in learning and had a low self-esteem. Through encouragement and recognizing his good work, Luis has greatly improved. He is now a responsible student. He can write his name and identify several numbers and letters. 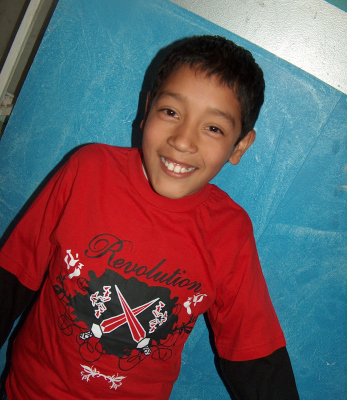 In his extra-curricular classes, Luis has improved in choir, dance, and soccer. Now Luis is ready to move on to Kindergarten with the rest of his class. Another example of how your support is changing lives in the Juarez Children’s Home is through Leslie’s story. When she first came to us she was very well behaved but also extremely shy. She tried out for the School’s Theatre Club and discovered that she had a hidden talent! Leslie started socializing more and making friends. 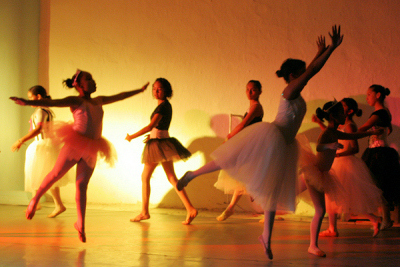 With her newfound confidence, she was even given a lead role in the school’s summer drama and dance presentation! Lastly, we wanted to share Gerardo’s story. Today he is a boy with a lot of personality and character, but that is not how he arrived here at the Juarez Children’s Home. At first he was very controlling and had a bad attitude. He always wanted things done his way, and if they weren’t, he would become angry. After receiving help such as psychological therapy and group therapy, Gerardo has learned how to manage his emotions, and when he doesn’t like something he doesn’t explode as he used to. Abandoned Children’s Fund is truly thankful for all our supporters and donors, some of whom have learned about our work on this blog or at our web page www.abandonedchildrensfund.com, who enable us to be part of the Great Philanthropist’s work in the world, helping children like Carlos, Luis, Leslie and Gerardo in Juarez. If you have not yet experimented with becoming a lover of mankind in this way we invite you to visit our website and discover for yourself how with a small gift you can bring such a big change to the lives of these vulnerable and precious children. This entry was posted in reports about our worldwide projects. Bookmark the permalink. ACF Team Travels to Kampala!